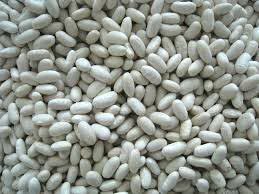 We export and supply premium White Kidney Beans in global market. White Kidney Beans are reckoned worldwide as the best food for losing weight. These beans are high in fibre content and contain essential amounts of minerals, vitamins and proteins. White Kidney Beans possess exceptional cancer-fighting properties and helps in improving cognitive Ability. Also, they detoxify Sulfites commonly found in prepared foods. White Kidney Beans are hygienically packed in food grade packaging material to ensure long shelf life.